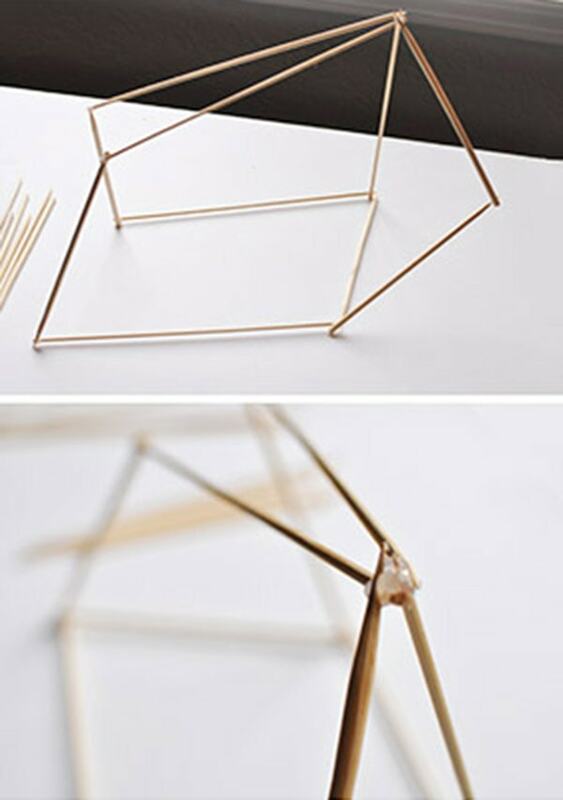 INSIDE : How to create an inexpensive and gorgeous Modern DIY Geometric Pendant Lamp shade using simple wooden skewers. Plus, it adds so much drama to your room! 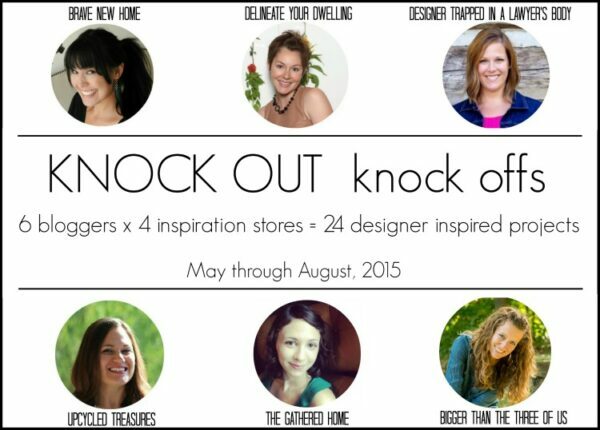 I teamed up with a great group of ladies for FOUR rounds of knock off knock out projects. 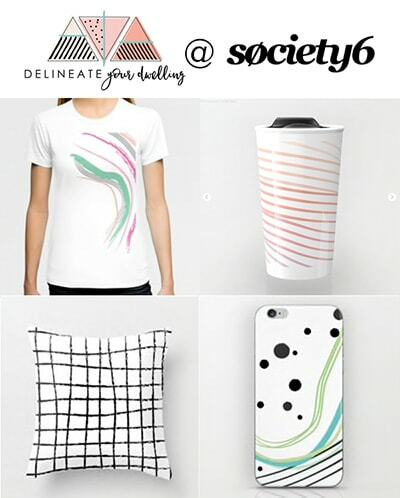 You can see my projects here. I was thrilled when Ashley from Bigger Than the Three of Us contacted us all again for another round of inspired projects. 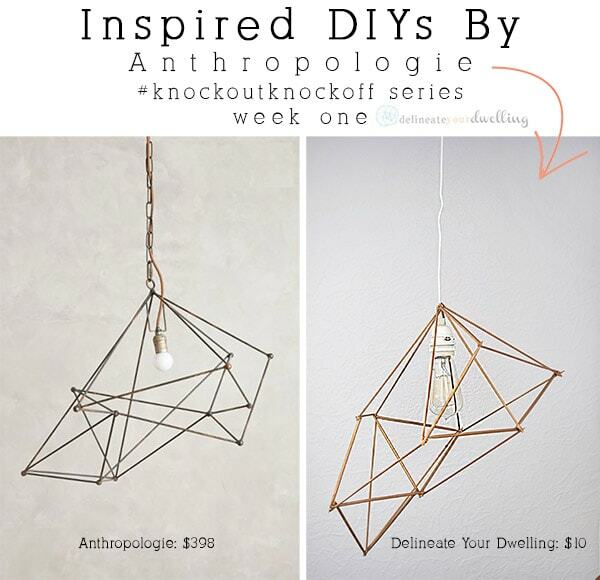 This month’s home decor INSPIRATION store is Anthropologie and I can not wait to share how to create an inspired 30 minute DIY Geometric Pendant Lamp with you! Who isn’t in love with everything Anthropologie? If I had a million dollars that would be one of my first shopping stops. 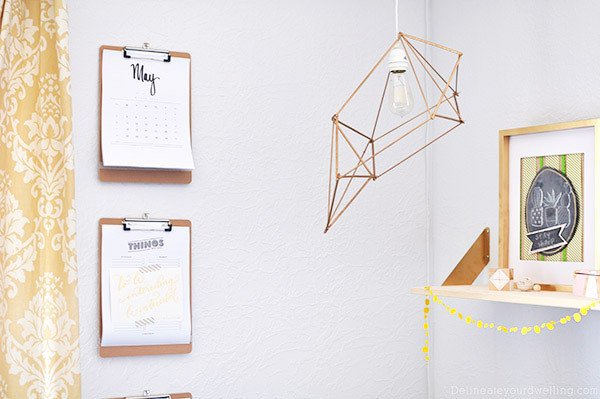 When I saw their Small Iron Web Pendant Lamp, my DIY heart stopped beating for a moment. I knew this would be a great inspiration piece and I knew without a doubt I could beat the $398 price tag! If you were to buy the supplies for this project, it would be a little under $10. I however, already owned every single thing so I actually made this for FREE. 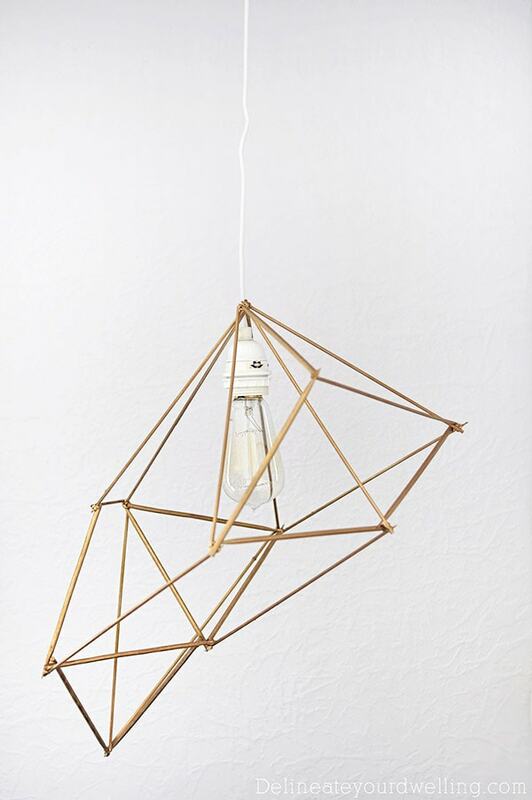 WHAT ARE THE SUPPLIES FOR A Geometric Pendant Lamp? Although, this project looks intricate, it was as easy as could be. I started by trying to see main basic shapes in my inspiration lamp. 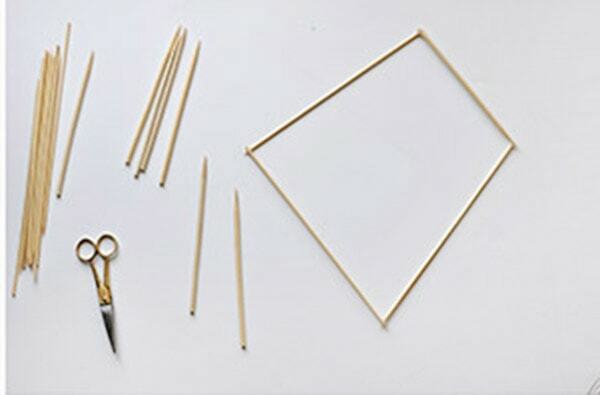 Then, using the wooden skewers, I created four different main shapes. Each corner was secured with hot glue. Once the four shapes had been created, I started glueing them together. I glued three of them at their top vertices so as to create a place to hang on the light socket. 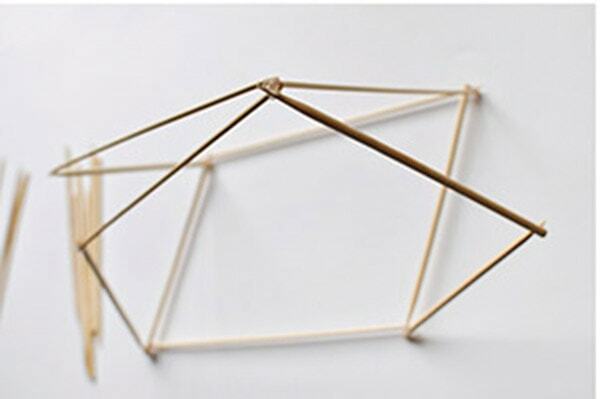 After those shapes were glued, I simply added a few more wooden skewers to create additional interest. This really is a personal preference for it’s look. After the wooden skewers were dry, it was time to add a few light coats of spray paint. 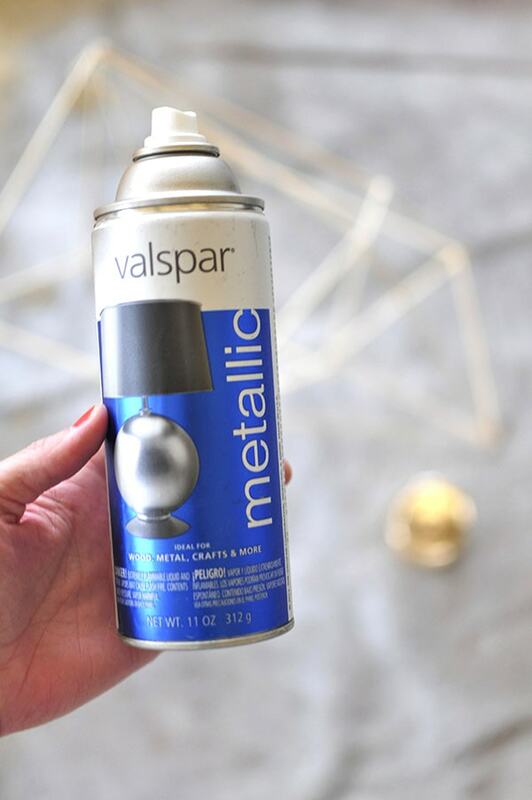 I wanted a slight brassy gold color, so I used my Gold Metal Spray Paint . 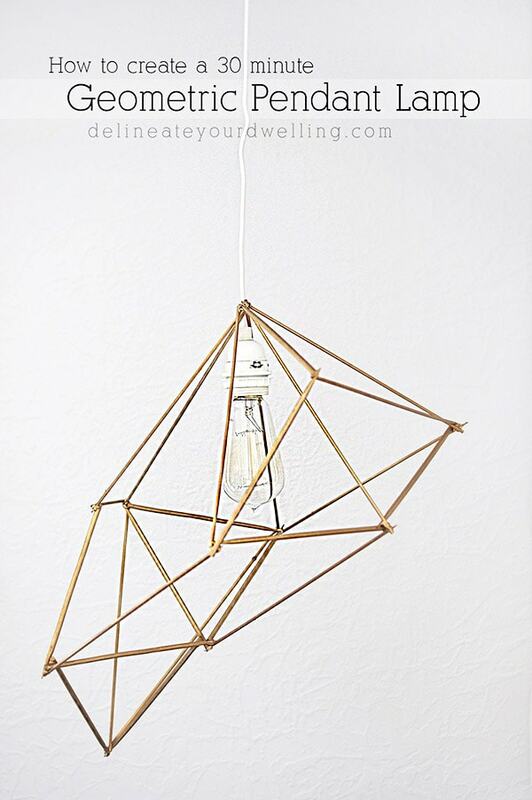 I could not be more pleased with how this Geometric Pendant Lamp turned out. It fits in with the decor perfectly in my office + guest room. Starting now in May and ending in August, we will be showcasing an inspired project from a pre-decided home decor store. Be sure to check out the other amazing projects! This is awesome! I can’t believe you did it in only 30 minutes! Great DIY! Anthro is so dangerous. 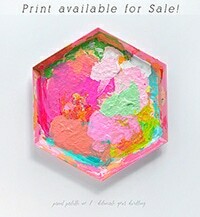 I love how clever bloggers get making diys. Thanks for posting. Hello from Think and Make Thursday. 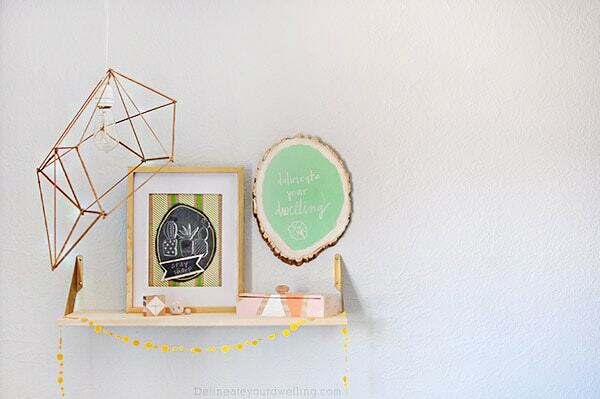 You are way more crafty than I am…your pendant light looks awesome! Thanks so much for sharing it with #ShareTheWealthSunday and this post is being featured as one of my top 5 favorites at next weeks party! Awesome! Thank you for the feature next week, Lisa. Have a good weekend. I love this, just gorgeous and the price tag too. Found you Create and share party. We are currently building our new dream home so will have to give this a try. Thank you. YES! Love it. It looks great in your office. Awesome! I have a chord kit that I was scratching my head about. This may just be the answer! Ha! 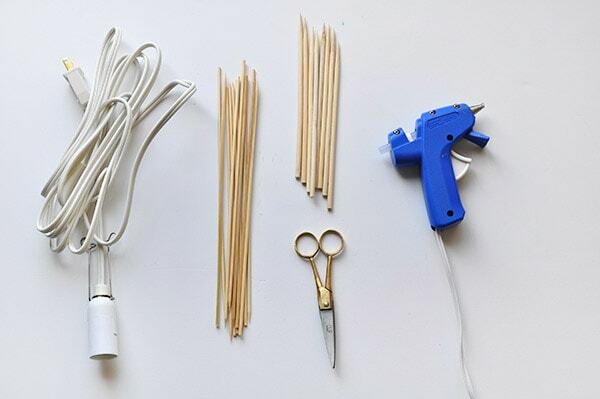 I knew this DIY was yours….It has YOU written all over it. I love it! I like that it is not so uniform and that you made it for FREE. Go you! I love FREE, ha! Thanks, Jessica – you really are too kind! Love it! Love them all!Such a fun series! Love it Amy! I can’t believe it is made from wooden skewers, I thought it was metal when I first looked at it, shows what good spray paint can achieve. Well done! Oh Gilly, you are too kind! I thought about doing a hemmili type shape but decided skewers would be WAY easier. I’m so glad I went the easy route… 30 min. max! WOW! Wooden skewers? I never would have thought! You took something I thought had to be a complicated & difficult project and turned it into something totally accessible! 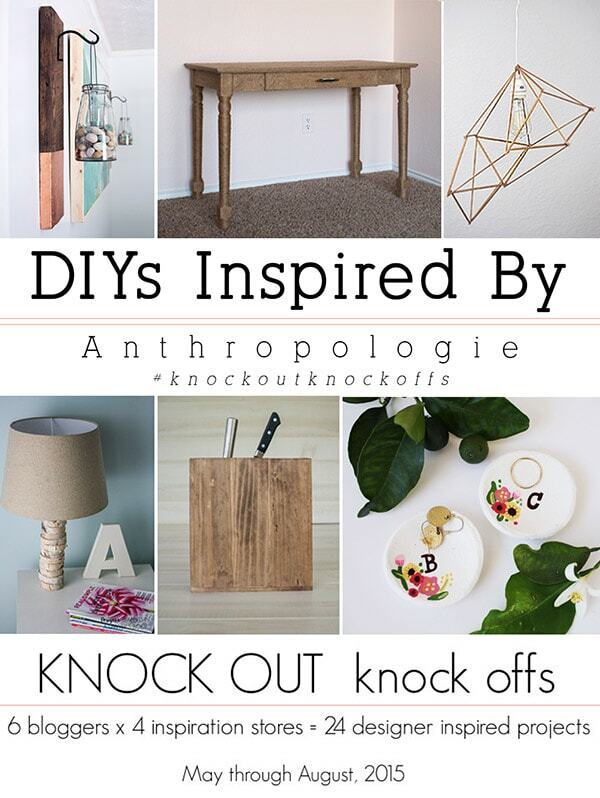 The best kind of DIY – wonderful job Amy! Such kind words, Brynne! This comes from the lady who wrapped a vanity in jute. I bow down. Amy, this is such a great knockoff and I love the color of yours even more. Not to mention it only took 30 minutes to make. LOVE it! Thanks so much, Katie! Easy 30 minute projects are always a good thing, ha. WOW! This is INCREDIBLE Amy!!! I cannot believe how well it turned out! Beautiful! I’ve been sitting on a himmeli/geometric project for far too long, just seeing how yours turned out makes me want to get in there and finish it up. Interestingly enough I used skewers as our ‘mock up’ version. Never thought to use them in the final piece!! Great work, love your little office corner! I definitely thought about using the himmeli technique for this but decided I wanted it less symmetrical and more random… so the wooden skewers won out and it made it so so easy! What a great way to add some texture to a space! Love it! Thanks Christine! I love how easy this project was and so unique, too! I LOVE IT!! I would have never thought to use the wooden skewers on that, but they are so perfect! Thanks, Ashley! The skewers made this SUCH an easy project. Can’t wait to hop over to yours!! Where did you get the light bulb? Love this!